Try out new features before the release. Your gold mining operation will face new threats. 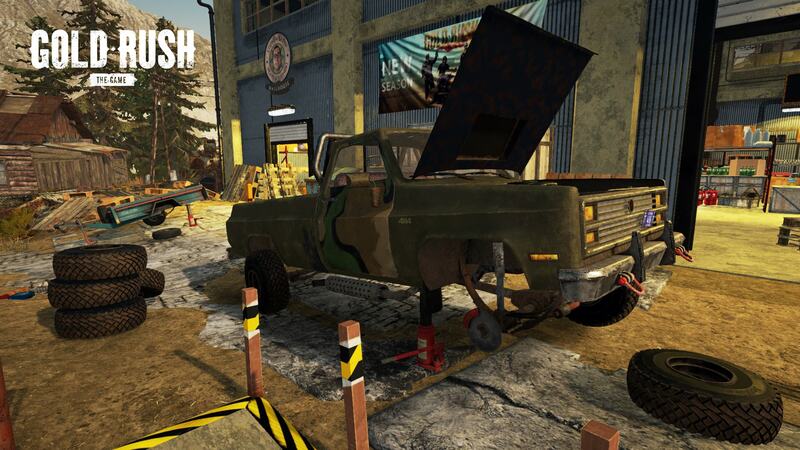 With breakable machines, you’ll experience the challenging life of a chief mechanic. Be ready to fix those vehicles when least expected. Every breakdown can make you lose money with each passing day. Open Beta branch is a voluntary option and it may not reflect the quality and content of actual Update 1.4. Save files from Open Beta version won’t be transferred to a live build. Machine Failures are disabled by default. You need to enable them in Settings/Game. To join our beta you have to make this few simple steps. 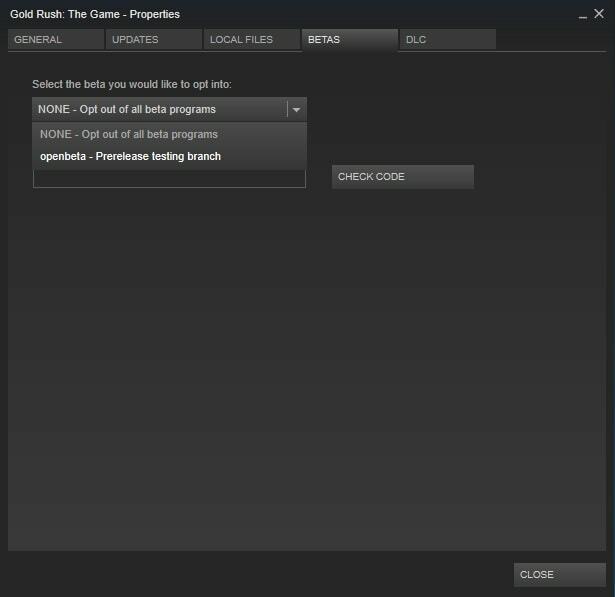 Right-Click on the Gold Rush: The Game in your Steam Library. Choose “openbeta – Prerelease testing branch”. You DO NOT NEED the beta access code. 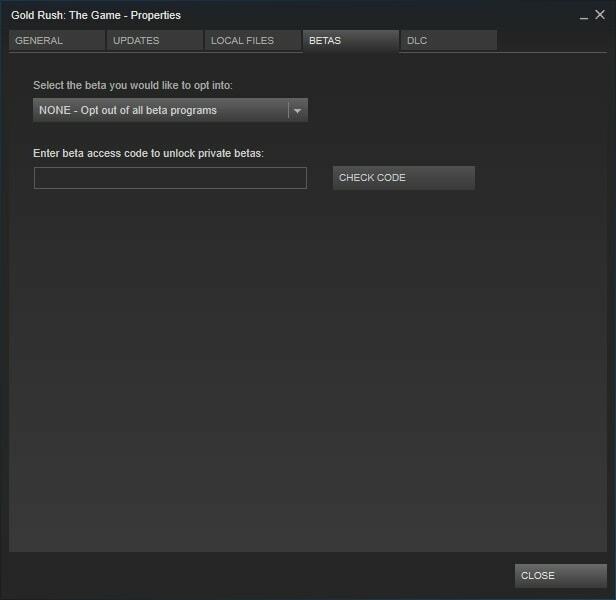 To reverse the changes and go to the live build once again, just select the “NONE – Opt out of all beta programs” branch and restart your steam client. REMEMBER: Saves from the beta version won’t work on the live build. ©2018 Code Horizon Sp. z o.o. All rights reserved. All other trademarks or registered trademarks are the property of their respective owners. Newsletter I consent to provide Code Horizon sp. z o.o. with my e-mail address to receive newsletter. You can change your mind at any time and unsubscribe by clicking the unsubscribe link in the footer of any email you receive from our company - Code Horizon.